Level of consciousness (LOC) is a medical term for identifying how awake, alert, and aware of their surroundings someone is. It also describes the degree to which a person can respond to standard attempts to get his or her attention. Consistent medical terms describing a person's level of consciousness help in communication between care providers, particularly when the level of consciousness fluctuates over time. There are a variety of medical conditions and drugs that contribute to the level of a person's consciousness. Sometimes impaired consciousness is reversible, while others times it is not. According to medical definitions, a normal level of consciousness means that a person is either awake or can be readily awakened from normal sleep. Consciousness identifies a state in which a patient is awake, aware, alert, and responsive to stimuli. Unconsciousness identifies a state in which a patient has a deficit in awareness and responsiveness to stimuli (touch, light, sound). A person who is sleeping would not be considered unconscious, however, if waking up would result in normal consciousness. Between these two extremes, there are several altered levels of consciousness, ranging from confusion to coma, each with its own definition. Altered or abnormal levels of consciousness describe states in which a person either has decreased cognitive function or cannot be easily aroused. Most medical conditions affect the brain and impair consciousness when they become serious or life-threatening, and an altered state of consciousness usually signals a serious medical problem. Often, an altered level of consciousness can deteriorate rapidly from one stage to the next, so it requires timely diagnosis and prompt treatment. Confusion describes disorientation that makes it difficult to reason, to provide a medical history, or to participate in the medical examination. Causes include sleep deprivation, fever, medications, alcohol intoxication, recreational drug use, and postictal state (recovering from a seizure). Delirium is a term used to describe an acute confusional state, characterized by impaired cognition, in particular, attention, alteration of the sleep-wake cycle, hyperactivity (agitation), or hypoactivity (apathy), perceptual disturbances such as hallucinations (seeing things that are not there) or delusions (false beliefs ), as well as by instability of heart rate and blood pressure. Causes can include alcohol withdrawal, recreational drugs, medications, illness, organ failure, and severe infections. Lethargy and somnolence describe severe drowsiness, listlessness, and apathy accompanied by reduced alertness. A lethargic patient often needs gentle touch or verbal stimulation to initiate a response. Causes can include severe illnesses or infections, recreational drugs, and organ failure. Obtundation is a reduction in alertness with slow responses to stimuli, requiring repeated stimulation to maintain attention, as well as having prolonged periods of sleep, and drowsiness between these periods. Causes can include poisoning, stroke, brain edema (swelling), sepsis (a blood infection), and advanced organ failure. Stupor is a level of impaired consciousness in which a person only minimally responds to vigorous stimulation, such as pinching the toe or shining a light in the eyes. Causes can include stroke, drug overdose, lack of oxygen, brain edema, and myocardial infarction (heart attack). Coma is state of unresponsiveness, even to stimuli. A person in a coma may lack a gag reflex (gagging in response to a tongue depressor placed at the back of the throat) or a pupillary response (pupils normally constrict in response to light). It is caused by severely diminished brain function, usually due to extreme blood loss, organ failure, or brain damage. The causes of these altered states of consciousness may overlap. For example, the early stages of brain edema or organ failure can cause confusion but can advance rapidly through the stages of lethargy, obtundation, stupor, and coma. 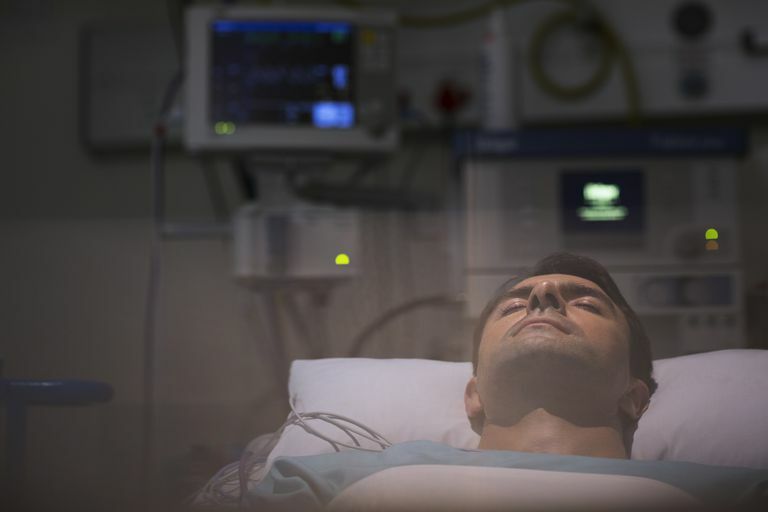 The states of coma and stupor may also be subdivided into levels or classifications that further clarify a person's degree of unresponsiveness. Several systems have been developed in order to standardize these classifications, which improves communication among healthcare providers and also aids in research. The most commonly used classification systems are the Grady Coma Scale and the Glasgow Coma Scale. The Grady Coma Scale rates a coma in grades from I to V. The grades are determined based on a person's state of awareness and response to stimuli, such as response to the person's name being called, light pain, and deep pain. Grade I indicates confusion, while V indicates no response to stimuli (coma). The Glasgow Coma Scale uses a score to identify the level of consciousness, from 1 to 15, with 15 being a normal state of consciousness. This scale takes into account verbal, motor, and eye responses to stimuli in determining the overall score. There are also psychological terms used to describe consciousness (fully aware of one's intentions), in contrast to subconscious (often describes deeper intentions), and preconscious (related to memory). There are also several other theories and definitions of consciousness describing stages of sleep, levels of self-awareness, and the relationship between humans and matter. While all of these definitions are certainly valid, they are not used to define medical states of consciousness. Runde D. Calculated Decisions: Glasgow Coma Scale, Pediatr Emerg Med Pract. 2018 Sep 1;14(Suppl 1):1-3.